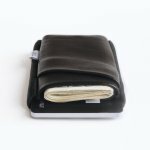 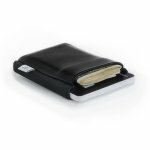 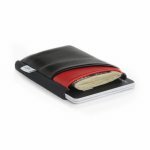 The TGT Wallet is constructed of lambskin and elastic, measures 2.25" wide by 2.75" long, and weighs less than 0.2oz. 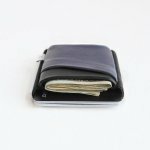 (traditional bi-fold wallets are about 4.5" wide by 3.5" long). 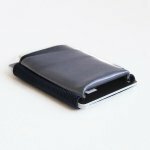 This design features slate grey/blue with black accent and black elastic. 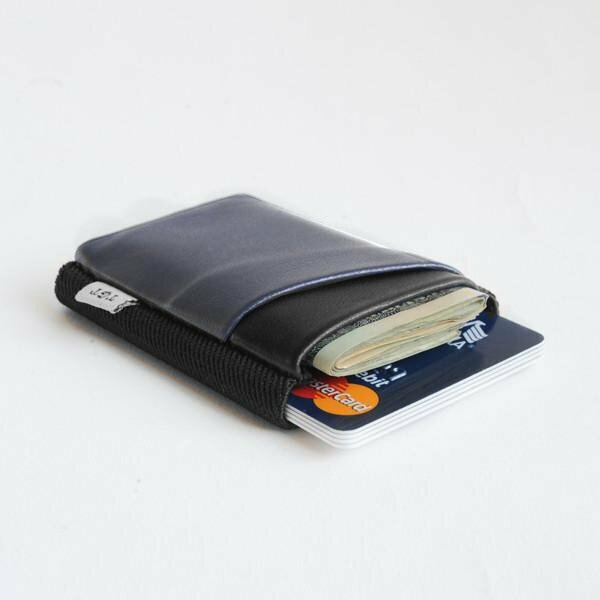 The Deluxe version has an extra pocket on the front. 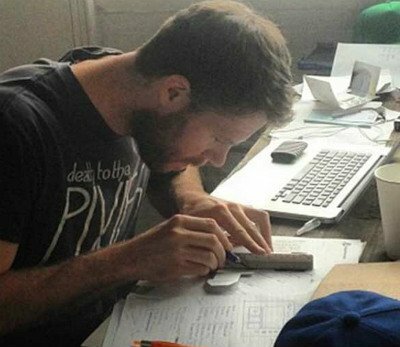 dir="ltr">All wallets are rigorously checked for quality before shipping, and all seams are double-stitched for extra reliability.